1947Partition.org is a non-profit site dedicated to the rich and diverse histories of the 1947 Partition of South Asia during its decolonization by the British. 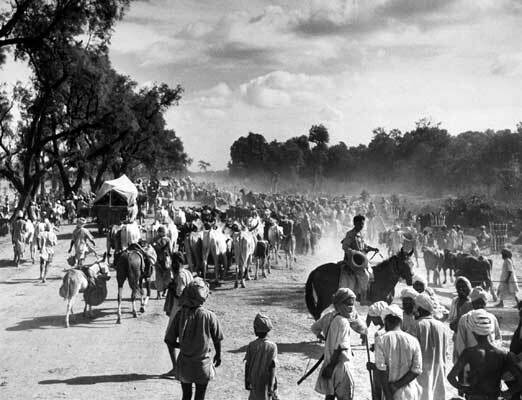 We collect educational resources about the histories and experiences of the 1947 Partition of India in order to create new knowledge about the transnational effects of ethnic violence and migration in the modern world. A key dimension of this Histories of Migration and Violence project is the recording and collection of testimonies of those who witnessed, were affected by, and survived the Partition. In their testimonies, interviewees speak about many aspects of their lives: about the trauma of displacement and loss that they and their loved ones suffered, about their daily life in pre-Partition times, about their homes and friends, and about family and community. They reveal their struggles before and after Partition. These oral histories have an important educational value, not only because they uncover a richer, deeper understanding of the experience and effects of the Partition, but also because they speak to the urgent questions about justice, belonging, difference, religion, violence, migration and identity that we continue to struggle with in the contemporary moment. This project is made possible by a grant from George Washington University, in Washington DC. Dr. Kavita Daiya is a cultural critic on the faculty of George Washington University in Washington DC, with specializations in postcolonial literature and cinema, gender studies, public culture, globalization and ethnic American studies. Her current work focuses on urban migration, violence, and gender in South Asia and the United States.